…with great reason, of course. 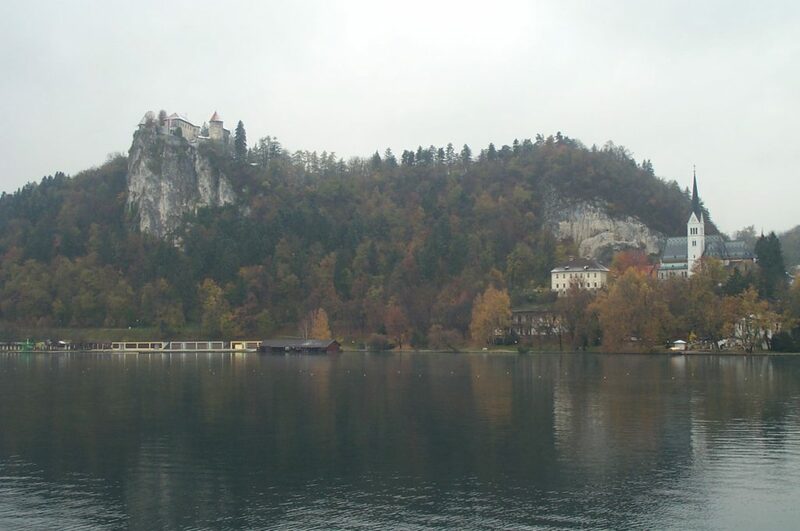 Bled is a great resort town. 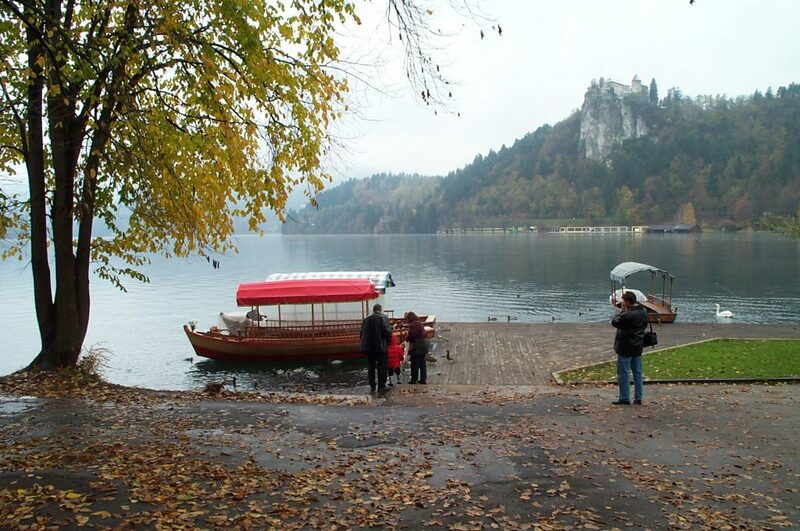 It (and its six boroughs) wraps around the beautiful Bled Lake, used by boaters and water skiiers in the summer. Sitting above Bled Lake in the above photo are Bled Castle and St. Martin’s Church. 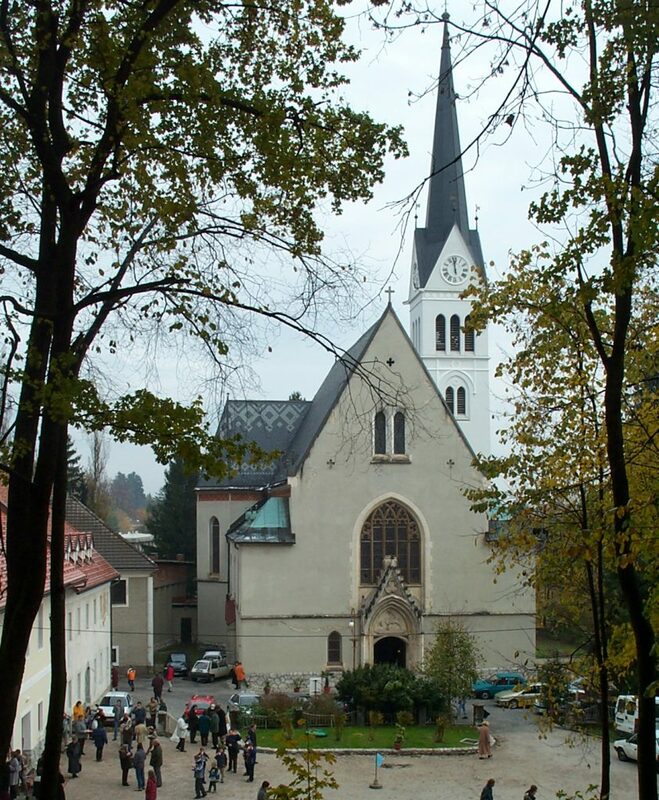 St. Martin’s is similar to churches I’ve encountered among former Austro-Hungarian countries (don’t know the name of the style). At the time the above photo was taken, Mass had recently concluded and the parishioners were enjoying a Sunday coffee in the church courtyard. The parishioners were of all ages, leaving one to imagine the same scene having taken place for decades, possibly centuries. 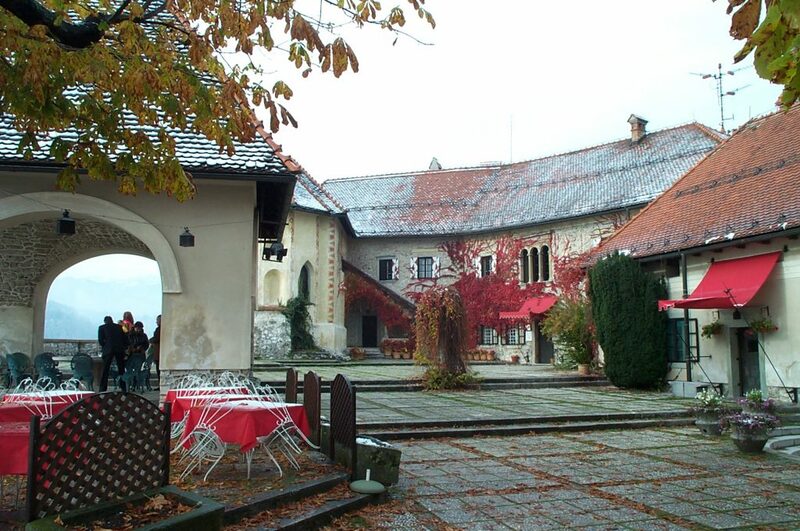 The castle also has a high-quality restaurant, and I thoroughly enjoyed my meal. It was a Slovene version of saumagen (basically a pork stomach stuffed with ground meats and chunks of sausage). It was far tastier than it sounds, and the Slovenia pilsner I had with it was very much on par with Austrian and German pilsners. And the meal was dirt cheap due to the exchange rate. 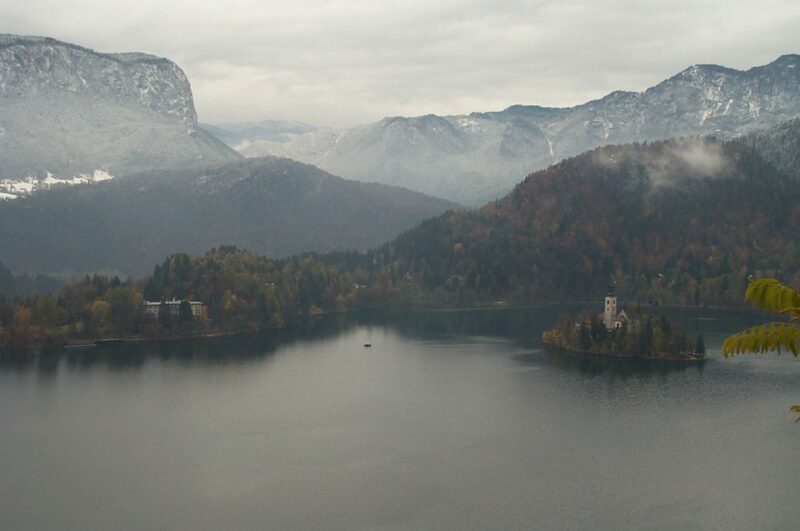 The island below is Bled Island, dominated by a 900-year old church that was the seat of Tyrolean bishops for eight centuries. In pamphlets I read at the castle, this church’s floor has recently been excavated and underneath were the remnants of churches built in the early days of Christianity. Sadly, given that this was a cold Sunday in November, I elected not to visit the island. But as you see below, there are dozens of wooden ferries making regular runs to the island in the summer. The main town is loaded with resorts, so can imagine the crowds that better weather brings. Several new shopping centers have been built and all the top-name brands are on display. Still, it was nice to wander around the area and still see the lion’s share of the area relatively untouched by the new hordes of visitors that have come since 1991.